Happy Winter Solstice! During this time of year, I like to peruse my local library for a variety of gardening and cookbooks. I often pickup more than my arms can hold but nothing makes me more excited than diving into a great book! 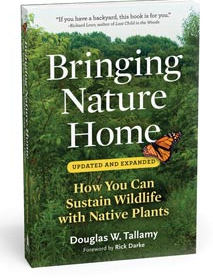 Lately, I picked up Bringing Nature Home by Douglas W. Tallamy. This selection makes the case for the benefits and need to protect and enhance native vegetation. Tallamy curates examples and published research on how native vegetation has an evolutionary relationship to insects and other bugs as these creatures are vital to our food web. A well known example is the relationship of monarchs and milkweed, as captured in last week's blog post. Bringing Nature Home will inspire you to reevaluate your lawn and exotic plants for the better and give you guidance to implement easy ways to promote sustainability in your own backyard. My next read was A Wilder Life by Celestine Maddy. It is a lovely book that takes you on a seasonal journey to explore nature with wanderlust. Each section pours into the holistic balance of human life with the natural environment. From seasonal growing to inspired cooking to beauty products, I continuously found myself delighted with surprising ways to make homemade perfume, discover the best places to hike and how to travel by moon and stars. 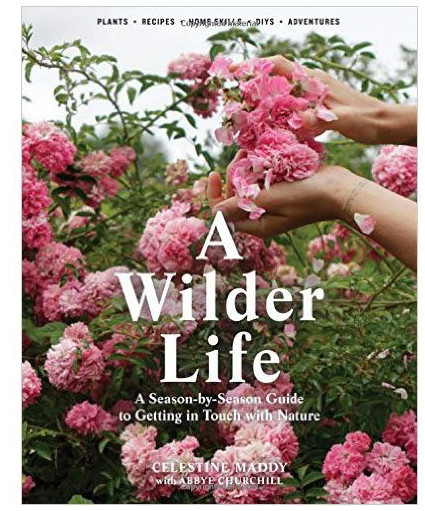 If you are looking for unique yet simple ways to rediscover your natural environment, A Wilder Life is for you! Taking the natural environment and turning my attention indoors, I landed on Feng Shui In A Weekend by Simon Brown. Just as it is important to balance our existence with nature outdoors, I feel that it is essential to have a sense of peace inside the space we spend most of our time. The great thing about this book is that you can go head first into implementing practical ways to balance the energy in your home but if you want to really get the details of this ancient practice, there is comprehensive information available in the latter portion of the book. Depending on the spatial position of your home and more specifically rooms, you can evaluate areas of your home that may have blocked or conflicting energy that can influence how you feel. This book may help you to resolve issues with easy steps such as adding a water feature, rearranging furniture, including certain colors throughout your home or adding plants. Certainly it will take more than a weekend to truly understand the principles of feng shui but I plan to take a few steps to begin making my home more enjoyable. 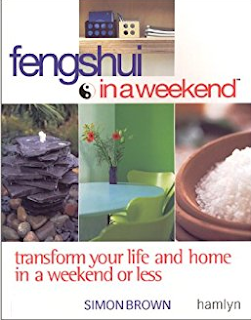 Feng Shui In A Weekend is an easy read and is great for beginners with the right amount of detail. This is the just the beginning of my winter reading. What books are you reading to get you through this winter? Share in the comments below. Happy holidays!